To brunch, or not to brunch, that is the question. Well, as far as deep philosophical questions go, it’s not much of a head scratcher – we’ll choose to brunch every time. The real question is where? 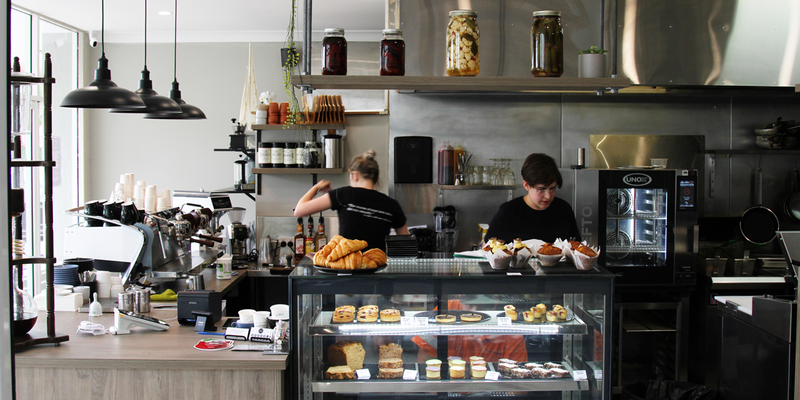 Kenmore residents awoke on Monday with a new cafe its midst – one with a cheeky Shakespearean lean and a menu of honest and creative fare that’ll have you monologuing in delight. When Reagan Nongkhlaw and Urvik Bhalani told their friends they were moving from Melbourne to Brisbane to open up a cafe together, most of their pals told them it was madness. Having worked in Melbourne’s thriving hospitality scene for the better part of a decade, the duo had plenty of opportunities at their disposal (Urvik already co-owns a literature-inspired cafe in Murrumbeena called Iron Henry), but the call to come north was too great to resist. It wasn’t a spur of the moment decision – both Reagan and Urvik flew back and forth from Melbourne to Brisbane over the past year, scoping the scene and finding an ideal location to plant long-lasting roots. The duo found their dream spot in the heart of Kenmore and set about building their new cafe Method to the Madness, named thus to play on their friends’ scepticism and refer back to Reagan’s love of William Shakespeare, whose works he became enamoured with during his school days. Situated in a spacious tenancy that once housed a neighbourhood Italian restaurant, Method to the Madness is an open and bright cafe with plenty of room to move. 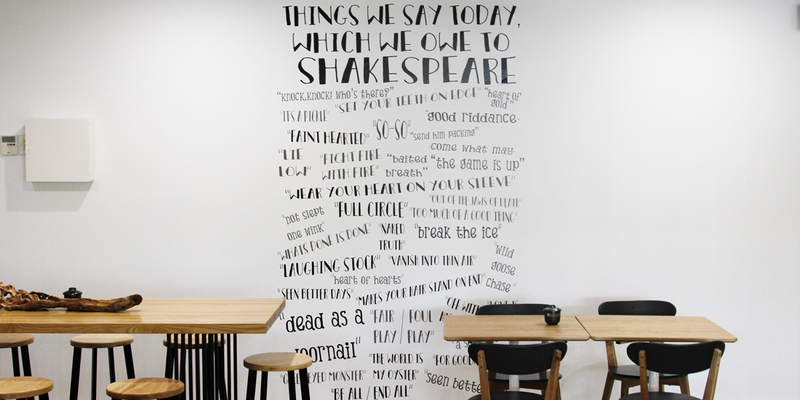 It didn’t start that way, however – Reagan and Urvik completely overhauled and modernised the space, adding new joinery, kitchen equipment, flooring and a new paint job (including a couple of Shakespeare-inspired murals). The work has paid off – Method to the Madness now boasts two main dining areas (one of which is slowly being transformed into part greenhouse with herb gardens), a coffee counter, moveable bar and an open kitchen, providing culinary theatre as lively as The Bard’s most exciting stage plays. Drawing upon their own experience cooking across a bunch of varied cuisines, the boys have chosen to eschew any single approach, instead plating up a freewheeling menu imbued with an assortment of inspirations. Across brunch and lunch services the common theme is Shakespeare, with various dishes named after some of the playwright’s most famous quotables. 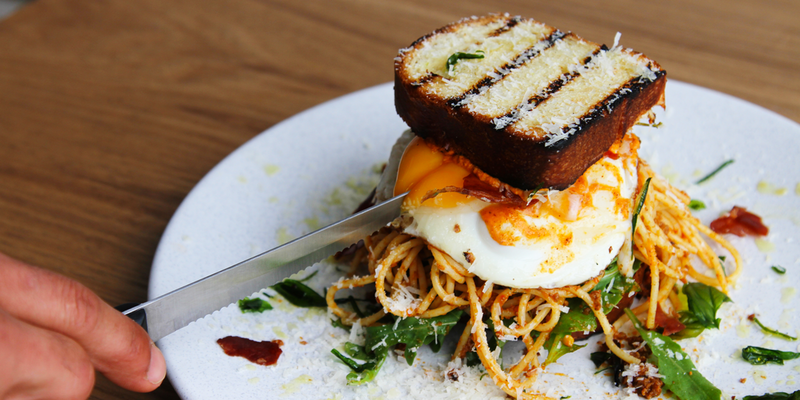 The wagyu spag bol brioche sandwich is named ‘Be not afraid of greatness’, while miso root veggies with tofu scramble can be found listed as ‘To be or not to be’. Dig deep into the menu and you’ll find the likes of the Indian-inspired sesame pork-belly benedict, chocolate porter hotcakes (made using porter from Newstead Brewing Co.) and spanner crab and miso-butter risotto. The beverage menu boasts coffee from Veneziano, milkshakes, tea and smoothies, with brunch cocktails, beer and Australian wines available after 10:00 am. Also of note, on Thursday January 10 Method to the Madness will launch a dinner menu. Want to check out Method to the Madness for yourself? Brush up on opening hours and address details in the Stumble Guide.